Since embarking on this journey, we have met with park staff at each National Park and Agata has been delivering a presentation about the Canadian National Parks malaise program. For the first time, I delivered the presentation myself at Kejimkujik National Park in Nova Scotia. This particular park is known for the greatest diversity of amphibians and reptiles across Atlantic Canada and the numerous lakes that First Nations people have used for thousands of years to travel throughout this area. With an intimate audience that was very interested in this project, the presentation went as smoothly as I could have hoped! Smera Sukumar delivering the presentation to Kejimkujik National Park staff. One important aspect of the presentation outlines the applications of DNA barcoding. Have you ever heard of the phrase ‘you are what you eat’? Well what if you don’t really know what you are eating? This seems to occur more than one would hope, as BIO found out when samples of sushi from restaurants in New York were obtained and analyzed. Between 30-35% of all fish were mislabelled! This is just one way that barcoding can be used; to make the marketplaces more transparent. Another application is to prevent invasive species from entering non-native habitats. Often those suspected of being non-indigenous cannot be identified by individuals at borders, and are subsequently halted. With DNA barcoding, an organism can be identified within a matter of hours, which is critical when specialists or taxonomic resources are unavailable. 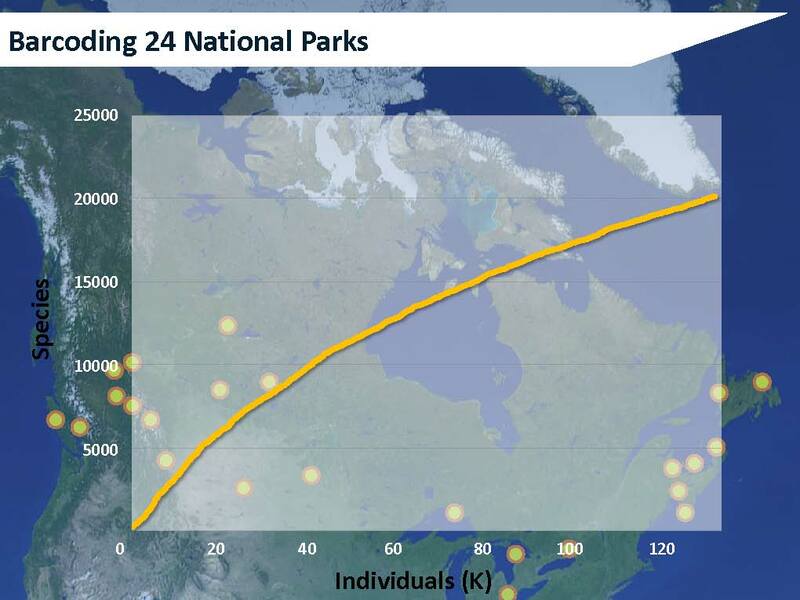 The Canadian National Parks malaise program is more than just building an inventory of barcodes for all arthropods across Canada. Application of this information is where the future of barcoding lies!